Dennis Brewer has 43 years of experience in construction and has been involved in laboratory and technical construction for 39 years. He began his construction career in Baytown, Texas where he worked as a carpenter and superintendent on various petrochemical and refinery construction projects. Starting in 1980 while working with a laboratory construction contractor, he began developing a skill set in laboratory and technical facility construction. Most of the client base for those projects were industrial and commercial in nature. From 1987 – 1991, he lived in California where he worked with clients on projects that involved biotechnical, pharmaceutical, and cleanroom environments. Today, he is the owner and operator of Brewer Construction Services, LLC with his sons Nathan and Travis. When not building laboratories, he enjoys being involved with family and hobbies include outdoor sports of hunting and fishing and occasionally is on a golf course. Dennis enjoys sharing his industry knowledge and has presented at several seminars and conferences including the Lab Wise Best Practices Conference, SEFA Conference, and Gulf Coast Conference. In 2006, he was invited to be one of twelve judges on the Judges Panel 2006 for R&D Magazine in Chicago, IL for Lab of the Year. 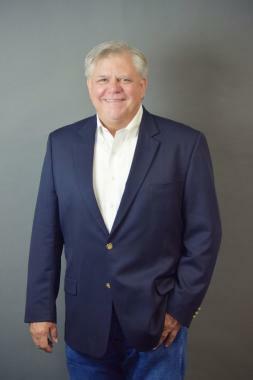 He is an active member of Association of Chemical Industry of Texas (ACIT), Associated Builders and Contractors (ABC), Bay Area Houston Economic Partnership (BAHEP), Houston Area Safety Council (HASC), Katy Economic Development Council (Katy EDC), and Scientific Equipment and Furniture Association (SEFA). Cost. For most corporations, it is the single most important consideration in any building project involving a laboratory. Cost is largely determined by the systems required in laboratories and technical facilities. Because these systems - from HVAC to electrical to plumbing - drive up the cost per square foot of lab space compared with non-lab (office, storage, or commercial) space, the question of cost is especially important. Furthermore, companies must consider the return on investment in a lab. It may take years for the investment in a lab to pay off, with most of the cost invested up-front to design and build the facility. Determining and controlling cost therefore becomes a major focus in the development of virtually every laboratory project. Laboratory design, therefore, is generally determined by cost. For decades, the industry has looked for simple ways to answer the question of laboratory construction cost. It is easy to be lured into using formulaic cost estimates based on an average cost per square foot for some set of laboratories already built. After all, the formulaic approach to cost estimation works well for certain types of construction projects, including office building and retail centers. Even a “typical” university laboratory cost / sq. ft. is fairly simple to estimate based on such a formula, since most college laboratories with mirror image design are built to accommodate a finite set of experiments which are repeated at predictable intervals over many years. With so few variables to sway cost one way or another, university labs tend to fall within a few % (+ or -) of an average cost / sq. ft.
Every industrial, commercial, analytical and R&D laboratory, however, is a unique entity. Therefore, using an average cost per square foot in budgeting for a non-university laboratory leads to three possible outcomes, two of which are undesirable. The project may be canceled before it is even designed because the total budget runs too high for approval. The project might run over budget during the construction phase - imagine the difficulty in obtaining additional funding for the project half way to completion. Finally, it is possible that the project will be completed at the anticipated, budgeted amount. The likelihood of this third outcome is questionable, however, since the costs / sq. ft. average represents just that: an average. It does not represent the real cost of creating the lab in question. Have suggestions, ideas, comments or want to recommend a speaker for future FFNL events? Contact William Pittman at WilliamPittman@micropackamericas.com.